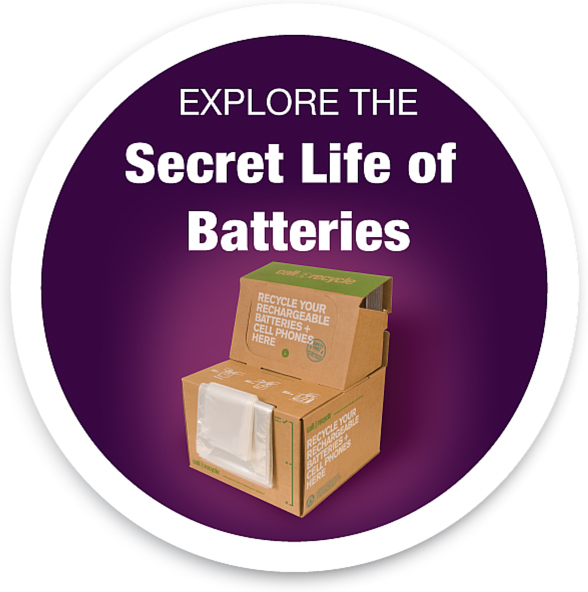 Prior to the passage of The Battery Act, battery recycling was a patchwork of state programs. 13 states had laws to facilitate the collection and recycling of used rechargeable batteries. These laws required that rechargeable dry cell batteries be labeled as recyclable and be easily removable from consumer products. In some states, rechargeable batteries were subject to the full array of hazardous waste requirements, while in other states rechargeable batteries were subject to reduced Universal Waste Rule requirements. In some states the battery labels were required to include the three chasing arrows or other recycling symbol, the manufacturer’s name, or a toll-free telephone number. Some required the text to appear on the product, the packaging, the instruction manual or on the battery itself. Adding to the confusion was the federal Resource Conservation and Recovery Act (RCRA), which regulated reporting, handling and transportation requirements for hazardous waste. Some rechargeable batteries, such as the Ni-Cd and SSLA/Pb, were regulated under RCRA, while others were not. A national rechargeable battery program was all but impossible to implement, much to the frustration of the industry. Stymied by the states’ lack of action, the Rechargeable Battery Recycling Corporation (RBRC) – the forerunner to Call2Recycle, Inc. – and the Portable Rechargeable Battery Association (PRBA) decided to proactively develop and present a plan to the U.S. government. The plan addressed the recycling of the exponentially growing market for rechargeable batteries. After five years of negotiations, The Battery Act was passed. Now battery recycling was under one set of rules and guidelines. All 50 states had to adhere to the Universal Waste Rule for handling Ni-Cd and SSLA/Pb batteries. The Act also phased out the use of mercury in batteries and specified that rechargeable batteries feature recycling markings. Following the passage of the law, Call2Recycle launched its first national consumer rechargeable battery recycling campaign, Charge Up to Recycle. The campaign included public service announcements, an updated web site, and a toll-free number to educate the public on keeping rechargeable batteries out of the solid waste stream. Richard Karn, co-star of the popular 1990s sitcom Home Improvement, was signed as the first spokesperson. The program offered various recycling plans for communities, retailers, businesses and public agencies. Call2Recycle developed a standard battery recycling seal for manufacturers. The organization also contracted with the International Metals Reclamation Company (INMETCO) in Ellwood City, PA, as the primary recycling facility. Call2Recycle was now in full ‘go’ mode, with the backing of leading rechargeable battery manufacturers.